In today’s world of medicine, surgical complications and errors are inevitable. Each year, there are thousands of surgeries performed in hospitals and surgery centers throughout the United States. With so many operations it is likely that a surgeon, an operating room nurse, an anesthesiologist, and other medical personnel may commit a mistake that results in a medical error. Although surgical malpractice can be described as professional negligence, by action or exclusion, by a healthcare professional in which the medical care provider drops below the accepted rules of practice, it is important to highlight that not all results are medical negligence. Surgery is hard and complicated, and surgical errors and complications may be certain portions of the risks of surgery. But both doctors and patients have the hope of a satisfactory surgical result, and there are always risks associated with each operation. There is no guarantee that surgery will be error free. Skilled surgical care can alleviate many of these risks. Surgical errors may occur during the operation of any surgical procedure, such as gastric bypass, plastic surgery, cardiac surgery, gastrointestinal surgery, hernia, and others. Medical mistakes may result from many different errors on the part of healthcare professionals. Sometimes surgeons allow medical students or interns to perform surgery without obtaining the proper permission of the patient. This is known as ghost surgery where the surgeon-in-charge enables a student to operate without disclosing this in the medical record or without previously informing the patient. Every day a lot of patients are victims of this practice. Additional typical surgical errors and complications arise due to incorrect positioning of the patient on the operating table, lack of monitoring vital signs, inappropriate use of drugs, wrong surgical technique or inadequate use of surgical instruments. The surgery called noninvasive, which involves the use of laparoscopy, has also increased the possibility of errors and surgical complications. Even a skilled and experienced surgeon who has been operating for decades may be a newbie when it comes to the use of laparoscopy. There have been very few cases in which a catastrophic medical error is revealed in the operative report. The surgeon might not even become aware of a surgical error or complication developed during surgery. Consequently, when the operative report is expedited, there is no mention of any error or surgical errors. The cases of surgical errors require a lawyer with experience in medical maltreatment in Miami who understands where and what to look for to show that a mistake was made, or a medical carelessness occurred. If there have been errors and complications during a surgical operation, the surgical malpractice lawyers Miami will help you make an analysis of the surgery and give you the answers you are seeking. Many people have suffered from negligent medical treatment or errors related to their healthcare in Miami, Florida and all over the United States. If you or a family member has experienced damages or death at the hands of a negligent healthcare professional, you need to contact a Miami based malpractice attorney. Surgical malpractice lawyers Miami believe that healthcare professionals should be accountable for the injury they have exposed the patients and their families. Thus, they will aggressively investigate your case and give you an honest evaluation of the probable outcome. Medical negligence attorneys in Miami handle severe and high profile cases like incorrect prescription or negligent dosing of medication, erroneously amputating a limb for another, and failing to diagnose a heart attack or a stroke. 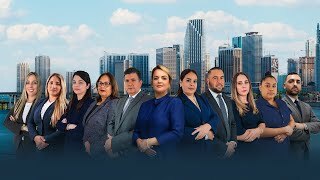 Gallardo Law Firm has a team of competent attorneys who can represent your rights if you are facing a case of medical error in Miami, Florida. Gallardo attorneys have been defending the rights of our customers sensitively and compassionately, with the honesty and integrity they deserve. They will deliver compelling strategies geared toward achieving the best resolution for your case. Our attorneys are highly qualified and have extensive knowledge in various types of medical mistake cases. Medical Misdeed turns out to be a process which can be painful and overwhelming for many people. At Gallardo, we will handle all types of surgical errors, including birth injuries, nerve injuries, infection, emergency room mishaps, and many other medical tragedies. We can find the answers to your particular case and take the time to understand how your injuries have affected your health and your life so that we can reach the best outcome. A medical carelessness incident can be devastating for the injured and the whole family, mainly because healthcare professionals are to be trustworthy and are expected to provide a high quality of care. Our surgical malpractice lawyers Miami will be able to use every legal resource to prove your case and help you in recuperating from the losses in connection to the surgery. Moreover, if you wish to file a medical maltreatment lawsuit, our attorneys can provide you with representation in court. We also have legal advice for medical cases online at our website, which advises prospective customers of their rights and options. Gallardo Lawyers are committed to holding negligent healthcare professionals accountable for their actions, so when you need a confidential consultation, you can contact us at Gallardo Law Firm. What are the consequences of surgical errors? Surgical complications and errors can have serious medical consequences such as paralysis, amputation of the wrong body part, injury to the intestine, birth Injuries, deformation and disfigurement, loss of sensation, brain damage, and death. Is the surgeon highly trained for the operation? This is a question that every patient should ask before agreeing to surgery. However, a surgical mistake or medical error lawyer in Miami Florida will investigate and observe both the training and experience of the surgeon, although it is assumed that surgeons should be highly trained, qualified and experienced. This is an important clue as risks associated with surgery are much higher with an inexperienced surgeon. Are unexpected results considered a medical abuse? No, there are no guarantees made of medical results. Sometimes unexpected complications occur, and they are not considered malpractice. Besides, patients usually sign a consent form explaining about complications and possible outcomes, including bleeding and infection. The fact that there was a bad outcome from medical treatment does not mean that the doctor is guilty of malpractice. For any medical malpractice case to be successful, a patient must prove that the adverse outcome was due to the negligence of the doctor. If the doctor was not negligent, then there is no case of medical negligence, regardless of poor treatment outcome. You should consult a qualified medical malpractice attorney. Provide the attorney with the medical records so he or she can have an expert review and then decide if there was indeed a medical carelessness. What will the attorney prove in a medical malpractice case? There are three essential elements to be proven in a medical malpractice case. First, when the physician did not follow the medical standards for health care. Second, when there was negligence or wrongdoing and affected the patient directly. Third, the damages should be shown. Failure to prove the three elements will result in having the case closed. How long can a case take? Depending on the different elements the cases usually take from 1 year to 3 years. How will I pay for the attorney's fees? Attorney's fees for malpractice cases can be costly, depending on the nature of your case. Attorneys generally do not expect the clients to pay for their cases. They will deduct the charges from the settlement. In the event there is no recovery from the prosecution, the attorney will not receive any payment from the client.